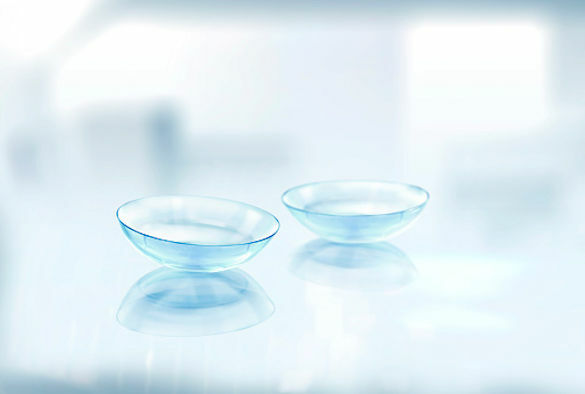 A Knowledge Transfer Partnership (KTP) between the University’s School of Engineering and contact lens manufacturer, Ultravision CLPL, has been rated as `outstanding’ and will be used as a case study by Innovate UK. The Knowledge Transfer Partnership is a government scheme designed to help companies access University expertise and knowledge to improve their competitiveness, productivity and performance. In March 2014, a KTP between the University and Ultravision CLPL was launched with the aim of developing state of the art contact lenses for people suffering from visual loss due to irregular corneas. During the three year project, a suite of software programs was developed to facilitate analysis of how a soft lens fits on eye. The modelling takes into account the properties of eye and lens and demonstrates how soft lenses drape, stretch and settle onto a cornea. The eye profile software can be used to compare the fit of lenses directly between individual eyes and across different populations, thus improving the efficiency of the design process. The project has already contributed towards the design of new products such as the Avanti monthly disposable contact lens. Dr Ahmed Abass was the KTP research associate on the project supervised by Professor Ahmed Elsheikh and Dr Steve Jones both with the School of Engineering. "This has been a very productive collaborative project, achieving beyond plans and helping both the company and our research group understand better how soft contact lenses can work with very irregular corneas." Mr John Clamp CEO of Ultravision CLPL, said: 'We are delighted that the assessors recognised the importance of this KTP to all stakeholders. The knowledge gained will become one of the foundations of lens designs going forward'.